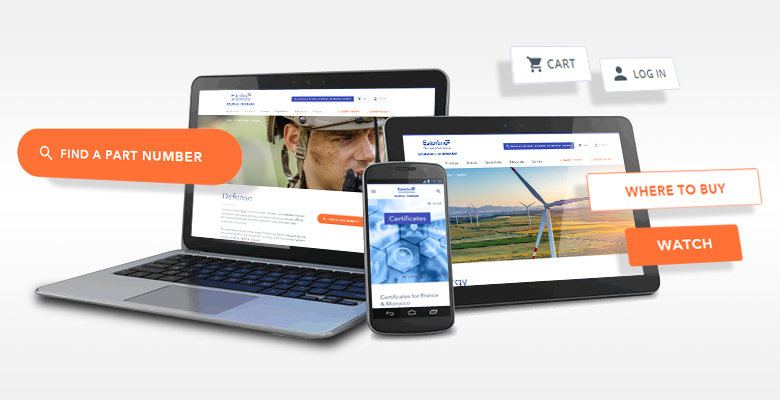 Esterline Connection Technologies (SOURIAU – SUNBANK) launches a new website for an improved user experience with a more intuitive navigation, a modern design, a pertinent search engine and high-quality content. And it’s only the beginning! A SOURIAU and SUNBANK product portfolio entirely reviewed and restructured to outline the products complementarity based on shapes, standards and technologies. 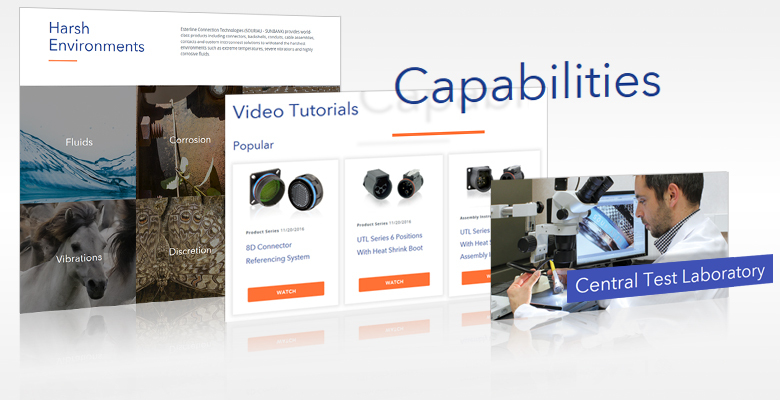 More than 130 products series with all related information accessible including images, rich content, videos and documentation. A brand new e-catalog with 175000 product references, 2000 3D models and 90000 customer drawings. A download center providing the entire literature of SOURIAU and SUNBANK product series, know-how and capabilities. An e-catalog with pertinent filters available for product categories and product series to narrow down the search process as well as a free samples order service. 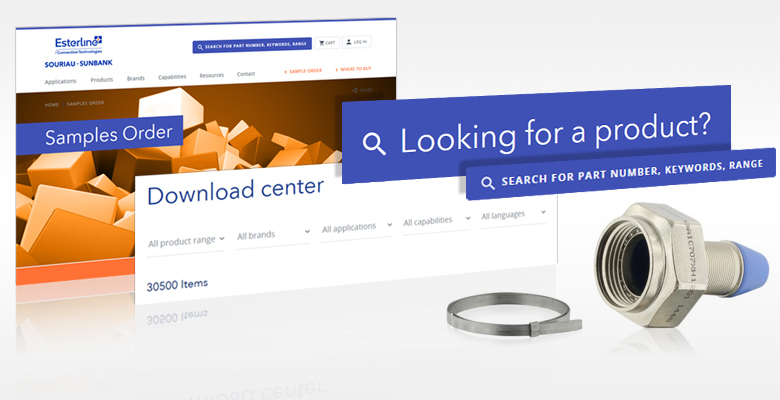 A predictive search engine to accelerate the search and to suggest additional and complementary pages. A comparison tool to select the best product among a wide selection. One version of the website and homogeneous content available from all mobile devices whether it is a desktop, tablet or smartphone. Access to the entire website tools whatever the mobile device such as the e-catalog, products pages, download center, customer account, product configurators, etc. An entire category dedicated to our technical capabilities, manufacturing processes and internal know-how. 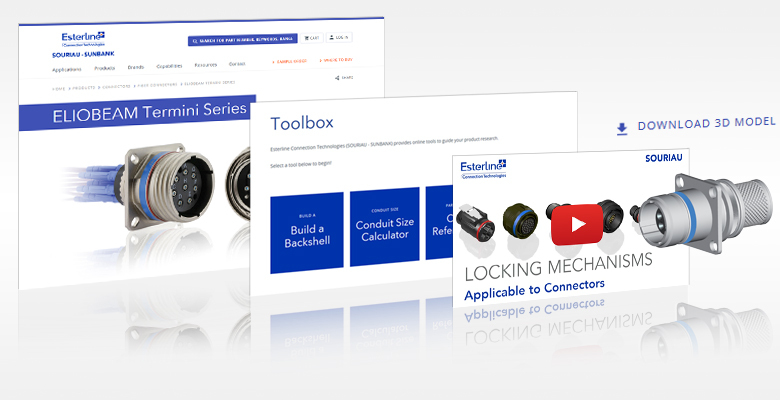 Advanced explanations to support our customers and partners in the selection of products for harsh environments.